The Manoel Theatre and its annexes are situated in the heart of Valletta. The annexes, which consist of a series of 18th century houses abutting the theatre party walls, were acquired at various stages of its history with a view to using them to house activities associated with the theatre function. 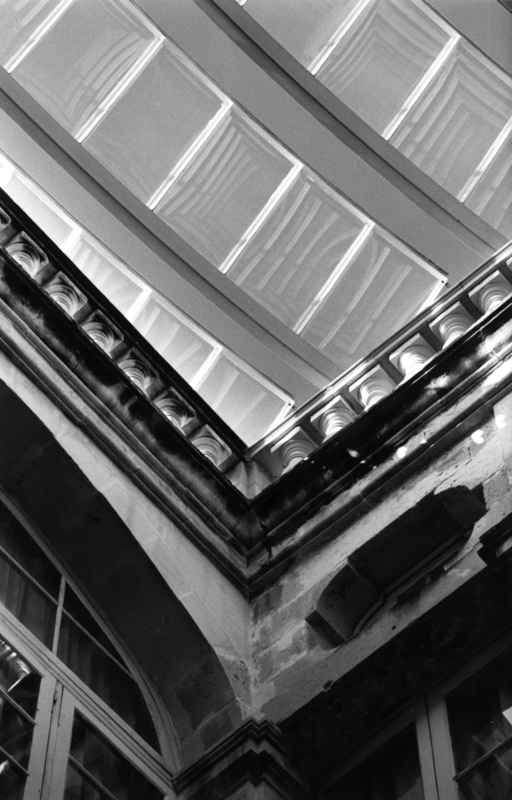 In the late 1990s, the Theatre embarked on a refurbishment and expansion programme on the basis of master plan formulated by AP, which added a new bar and foyer fitted into the neighbouring courtyard of Palazzo Bonnici, covered with an innovative mobile roof. 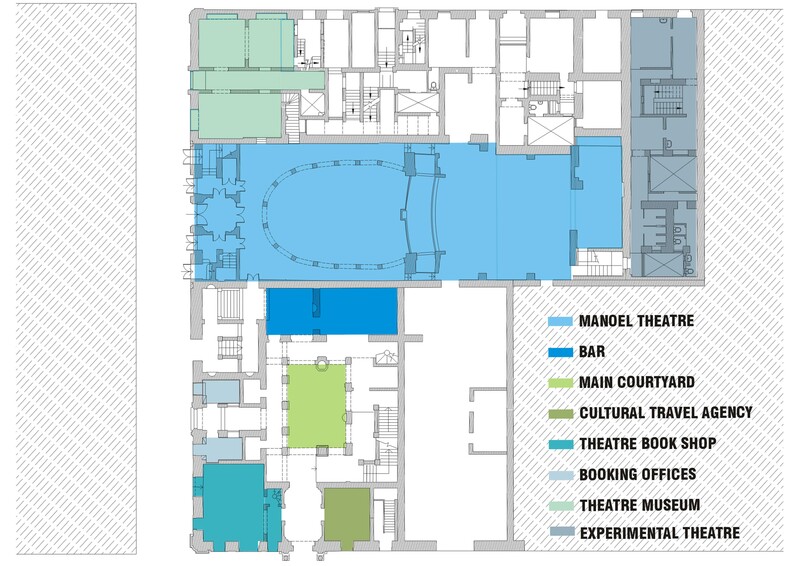 The projects also included the creation of a theatre museum, the reallocation and redesign of the ticket booking offices, the creation and fitting out of a specialized book and record shop as well as three studio apartments for visiting artists, all contributing to generate additional revenue for the theatre. Over the years, AP was also entrusted with a number of restoration inteventions and, more recently, with the installation of a new hybrid climate control system in the baroque auditorium, which has been restored to its original layout. The installation of a new climate control system has ensured the preservation of the Theatre’s historical fabric and also allowed to extend the performance season to summer months. As part of this project the seating in the stalls has been changed with the removal of the central aisle and the re-introduction of parterre boxes along the sides. This new seating aims at recreating the intimacy typical of the original 18th century baroque theatre. AP is also currently re organising the administrative block and the refurbishment of the ticket office as well as public amenities, and the restoration of the main entrance. The theatre has been modified several times to adapt to new performance requirements as well as to reflect various economic and cultural realities. Yet it has managed to preserve most of its initial qualities, thus making it one of the oldest surviving Baroque theatres. Today’s project inscribes itself in this historical continuum and strives to maintain the balance between the preservation of the theatre’s rich heritage and its necessary transformation to reflect contemporary values. The architectural challenge is now to ensure the successful cohabitation of the monument with its functions as a live performance space.